I totally want to make that bread. I'm afraid to make yeast things...but this one looks delicious! Thanks for announcing about the giveaway!!! PS hahaha...my word verification is fatro. what?! Ok, you convinced me, I am going to get the recipe right now. It looks really good. I decided to expand to reading the first two sentences of your blog. What do you know about what man can and cannot live by? 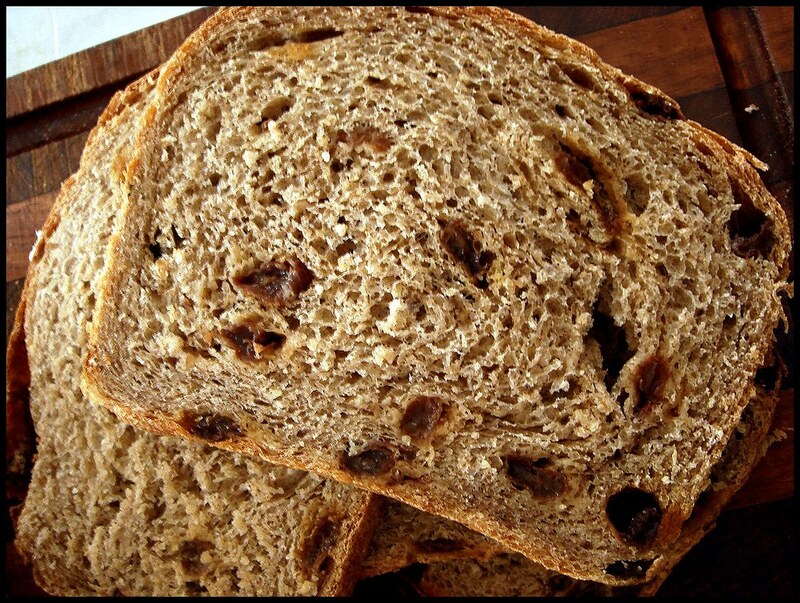 Cinnamon and raisins notwithstanding, this man (I use that term loosely) cannot live by bread alone. In fact, I don't even really eat all that much bread. I get most of my carbs from fruits and veggies, breakfast cereal, or side dishes. I have a sammich here and there, but that's mostly so someone can git in the kitchen and make me one. I love the oatmeal idea - I'm using it more and more in an ongoing effort to convince myself that my baking is all healthy! 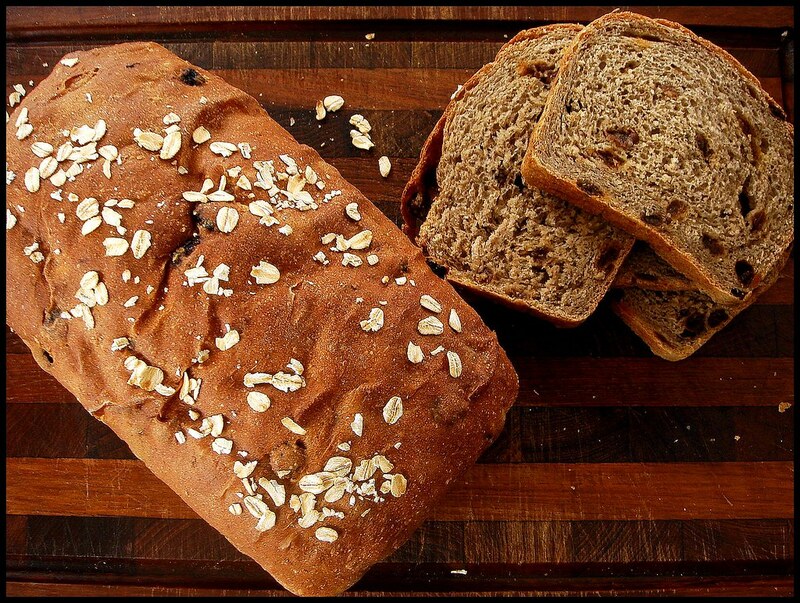 I definitely think man could live on bread alone...if it were this bread! Cinnamon raisin is fantastic and all the better with oatmeal. 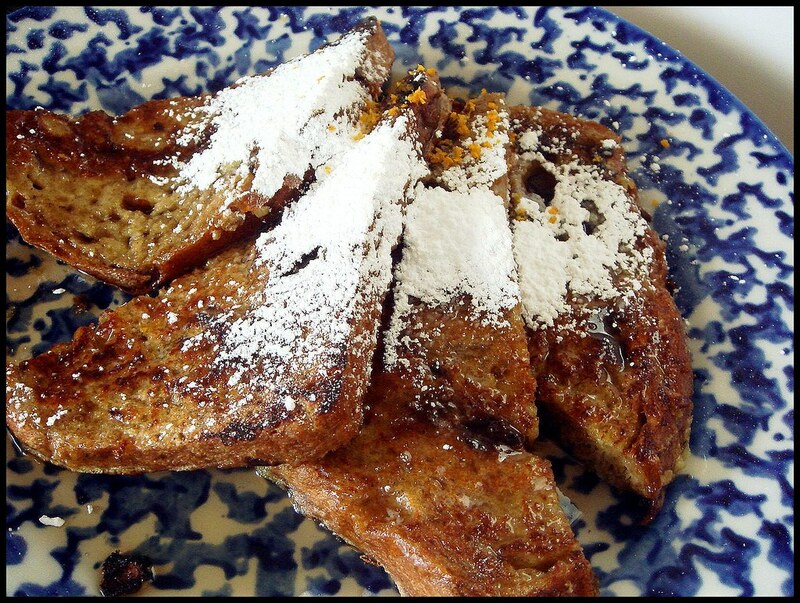 Love your french toast idea! Oatmeal, cinnamon and Raisins, thats a fantatstic combination! Great info. I like all your post. I will keep visiting this blog very often. Cinnamon raisin is fantastic and all the better with oatmeal. Love your french toast idea! A good pest control company, such as Evict a bug click here pest control brisbane will be able to give you a lot of information and advice on how to keep pests out of your property and prevent the infestations occurring in the first place. Such a nice one. thanks a lot for sharing.